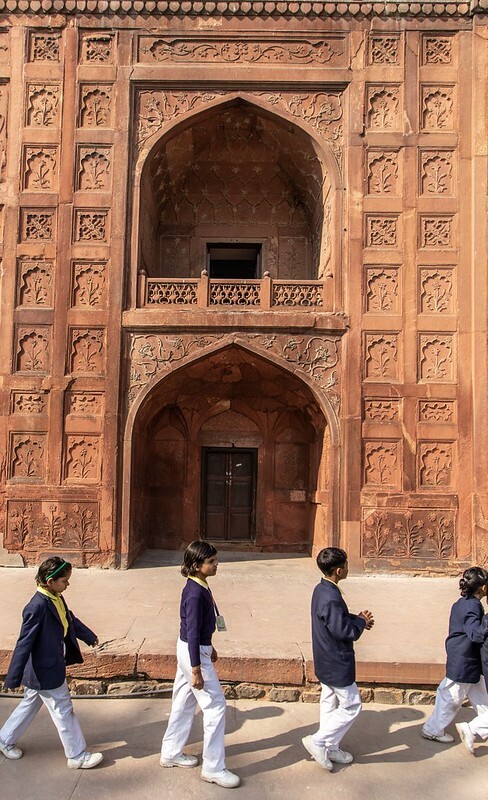 Red Fort, Delhi – The day I visited, a Saturday, the fort was under seige from numerous large school tours. Instead of elephants a school group negotiates the entrance to the Hathi Pol. Image published by andryn2006 on 2018-12-07 12:20:33 and used under Creative Commons license.